My sister-in-law recently asked if I would make two cards for her: one for her brother and one for her nephew. Of course, I was amazed and elated that she wanted to give such special people a card made my me! Here they are and, I'm sorry to say, that since they are no longer in my possession, I may have trouble remembering some of the details. I usually write the descriptions of the cards while having them right in front of me which helps me recall the details. Anyway, I hope that the intended recipients enjoy them. This is for her brother and Anne assured me that he has a sense of humour. 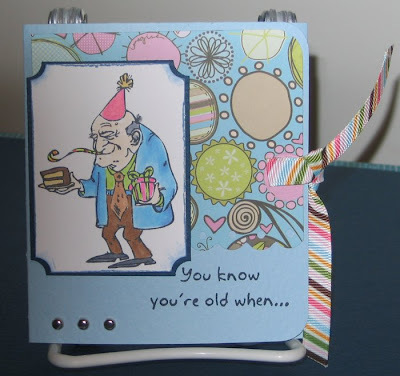 I certainly hope so because I used the "You Know You're Old When..." set by Gina K. Designs. It is a tri-fold card and interactive, as well. For example, the tab with the set of teeth on it, when opened, reads "you and your teeth don't sleep in the same room". That is one of my personal favourites from this set, but they are all really, really funny. Next up is the card I made for her nephew who will be 14. After running a few ideas by Anne, she told me he likes ties. I thought it rather unusual for a 14 year old, but I had the perfect stamp. It was from a grab-bag I purchased a while back and don't remember who made it. If anyone knows, please feel free to put it in a comment for me. This card was made to fit inside a regular #10 envelope. 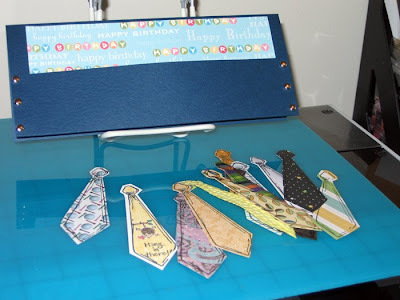 I grabbed 14 different scraps of patterned paper and stamped the tie image then cut them all out. 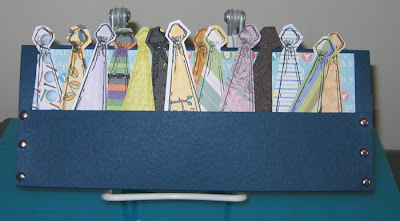 I also cut out an extra piece of the dark blue c/s and turned it into a little pouch to hold all the ties. 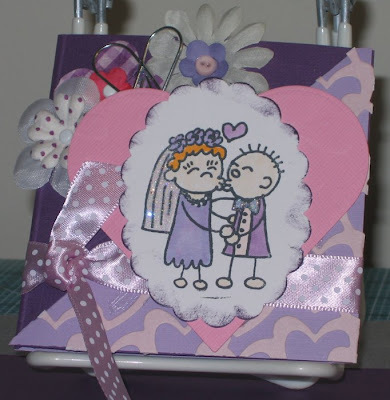 There are two ties which I stamped onto white c/s and then stamped with two of the small images from Mini-Mates by SU. Those I coloured with my Copic markers. The most difficult part of making this card was cutting out all the ties. I had cramps in my hand after all that cutting, seriously! The cards won't be given out for a couple of weeks yet, but I do hope her family enjoys them as much as I enjoyed making them. 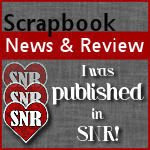 Thanks, Anne, for being a great support of my little hobby. Angie / shuggy is one of my friends from The Stamp Shack. Not too long ago, they drove to Las Vegas (from Utah) and "tied the knot". I'm so very, very happy for her. I saw yesterday that she received the card I sent to them, so I can now post it. This past weekend, 22 women from The Stamp Shack got together in Indiana for a weekend of stamping-fun. I was supposed to go to, but had to back out because I'm going to visit my daughter and her family in the U.K. and just can't do everything. Sorry, I digress! The Shackies threw a surprise bridal shower for Angie and I'm so sorry I missed it. Angie, I wish you all the best life has to offer! Congratulations.